It’s not often that people actively seek out sharks but thanks to a project in Australia dedicated to uncovering the secrets of a diminishing grey nurse shark population a group of committed researchers are on the front line searching for answers. The Missing in Action research project forms part of a larger marine incentive known as Greg Nurse Shark (GNS) Watch; launched in Queensland earlier this year. Grey Nurse Shark Watch is the first of its kind to collect and collate results on the population and behaviours of the endangered grey nurse shark species. Missing In Action forms the field investigation component of the broader GNS Watch project. The population of grey nurse sharks off the east coast of Australia is considered critically endangered with less than a thousand sharks left in the wild. Hunted almost to extinction in the 1950s, the grey nurse shark only breeds once every two to three years. This combined with their low population numbers and other threats such as accidental capture by fisherman and protective beach meshing continue to impact on recovery efforts for this gentle giant. 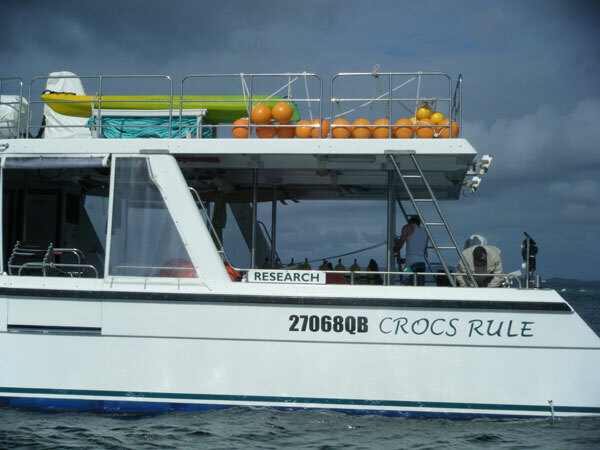 Project partner Australia Zoo have assisted the first team of researchers to begin investigating Queensland’s ‘missing’ aggregation sites – where the sharks meet to breed, feed and gestate by generously donating the use of their world-famous vessel Croc One to the project. Without the use of Croc One and its highly specialised crew, this marine environment would be virtually impossible to navigate. Australia Zoo International Conservation Manager Giles Clark was excited to put Croc One to use in the name of conservation. "This vessel was designed by Steve Irwin and is a 75 foot purpose built craft guaranteed to deliver the ultimate in performance during wildlife expeditions. 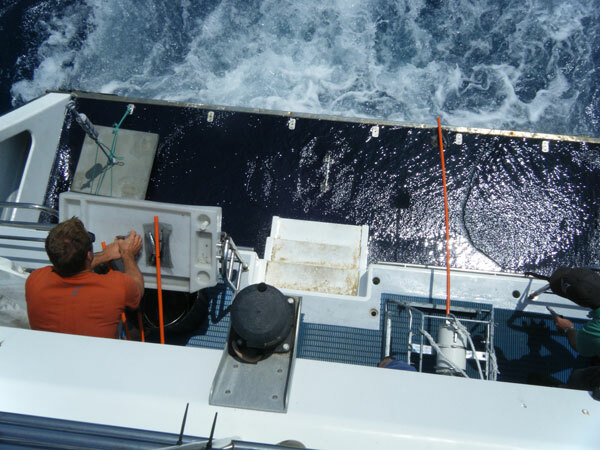 This deep probe expedition boat gives us the chance to research marine wildlife in remote locations, which makes it ideal for the work being carried out by Fauna & Flora International (FFI) and Grey Nurse Shark Watch," Giles said. "Australia Zoo has a long-standing and very close relationship with FFI and we are pleased to offer our equipment and expertise to them." 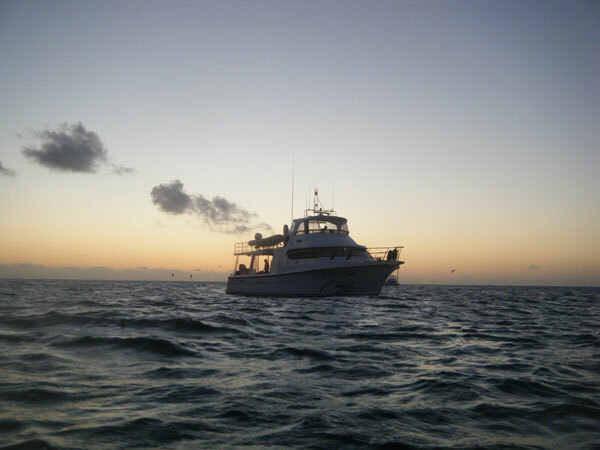 The first research expedition departed on Monday 7 November and will continue through December 2011 with researchers remaining confident further aggregation sites are still to be located in Queensland waters. Following an extensive GIS (geographic information system) review of potential sites, 25 locations were selected for the first round of field investigations. The field team deployed remote underwater video cameras and acoustic listening stations from Guthrie Shoal, Bustard Head and Lady Elliot Island near Gladstone, Fraser Island, the Sunshine Coast and south to Moreton Bay. The project is a massive exercise in logistics – not only with vessels, equipment, researchers and volunteers, but in terms of funding and supporters. To undertake this exercise, global conservation organisation, FFI are being assisted by the University of Queensland, Department of Environment and Resource Management, Burnett Mary Regional Group for NRM, Australian Capital Equity, the Ronald Geoffrey Arnott Foundation (managed by Perpetual Trustees Australia Ltd), Lady Elliot Eco Resort and Australia Zoo. FFI Executive Director, Jack Whelan is overwhelmed with the support of partners and supporters of the project. "We are grateful to all our partners for their support of this programme. It demonstrates a real commitment, not only to increasing our knowledge about the grey nurse shark, but ultimately conserving them," Mr Whelan said. "There is no doubt that a collaborative approach is essential to ensure the success of this research. Catalysing local partnerships has been at the heart of FFI conservation activities for over a hundred years."